"Turning The Ordinary Into Extraordinary"
Exclusive Design & Construction is a small Family Owned & Operated General Contracting Company located in Granite Falls, WA and are proud to service the beautiful Pacific Northwest. We are a full service Family Owned General Contractor. We pride ourselves in attention to details, and delight in the challenges of demanding projects. Although high-end Residential is our primary market, we also have extensive experience with Commercial applications as well. We hope you will take a few moments of your time to see why we are so confident in the services we provide. The majority of our projects have come on a referral basis from our past clients, and we anticipate that trend to continue. 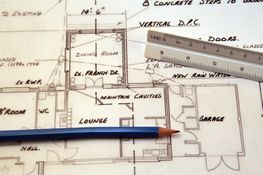 Think Exclusive Design & Construction, the next time one of your projects requires a true professional. Give us a call to schedule your Free In-Home Consultation. We use Angie's List to assess whether we're doing a good job keeping valued customers like you happy. Please feel free to visit and grade our quality of work and customer service.